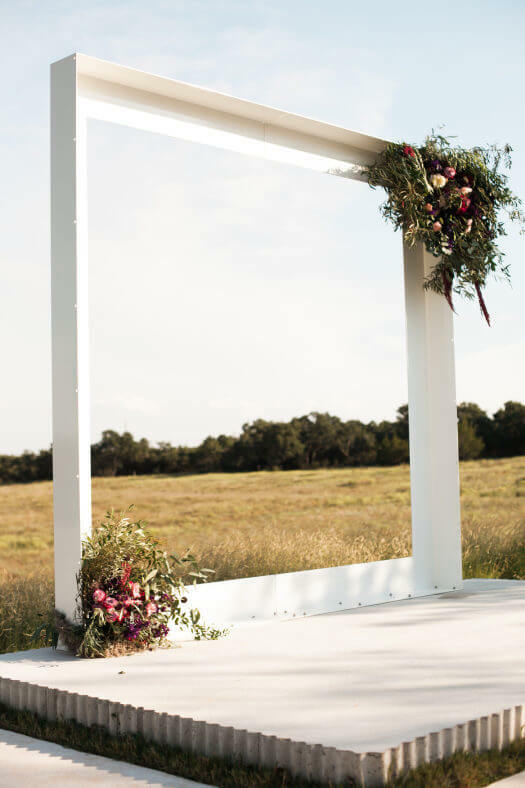 With the perfect ceremony backdrop, you can beautifully frame the moment you become newlyweds. 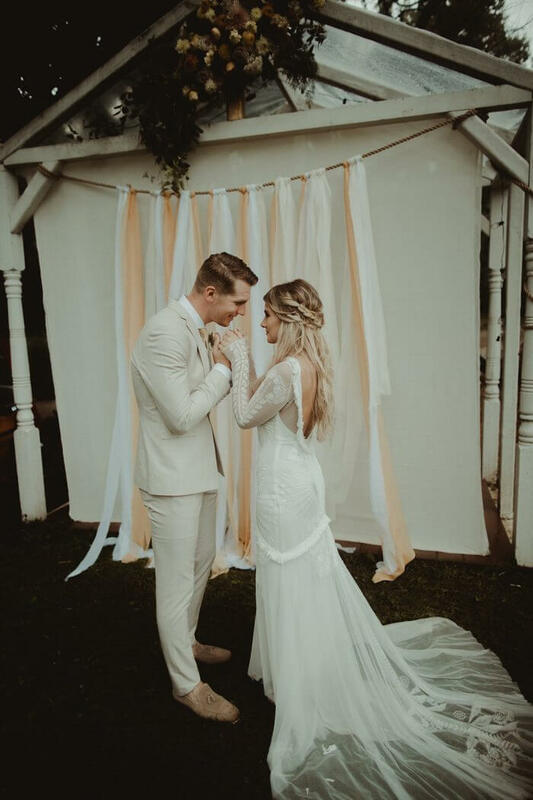 And let’s be honest, nothing is more special than exchanging your wedding vows. 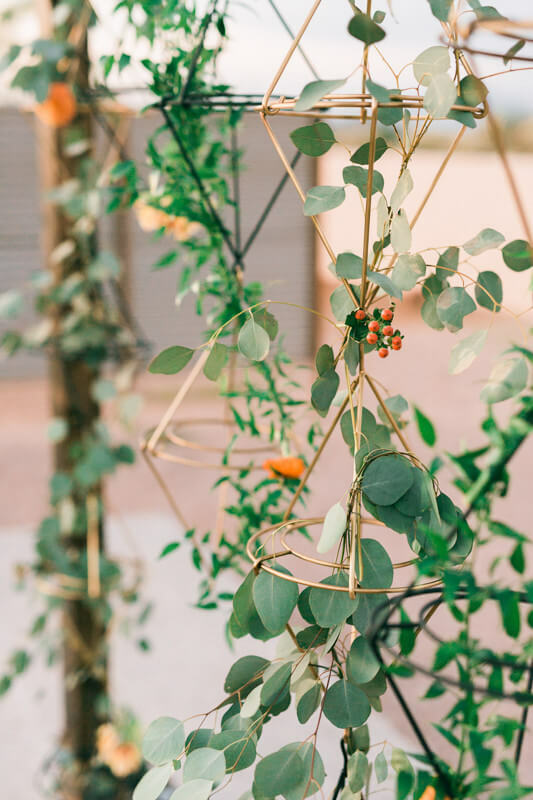 With the right touch of fabric, floral arrangements, and structural detailing, you can create a ceremony backdrop that beautifully reflects the season and style of your special day. 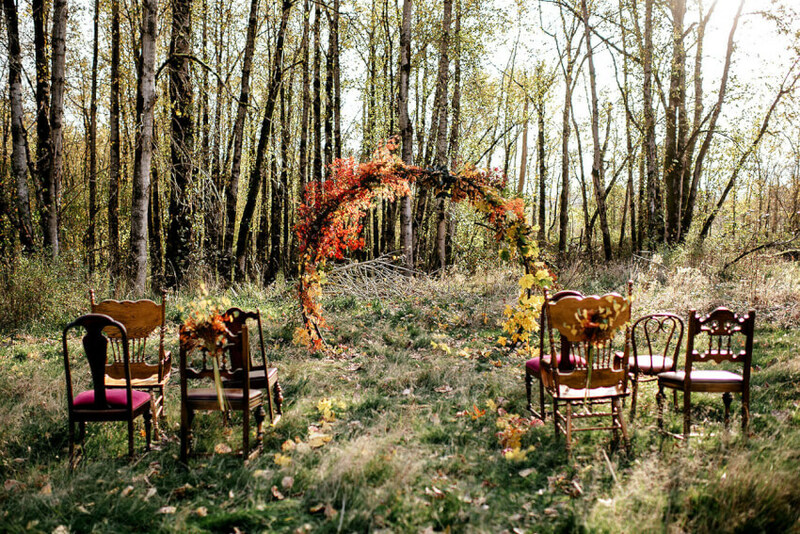 Here are some of our favorite wedding backdrops that are perfect for a fall celebration. 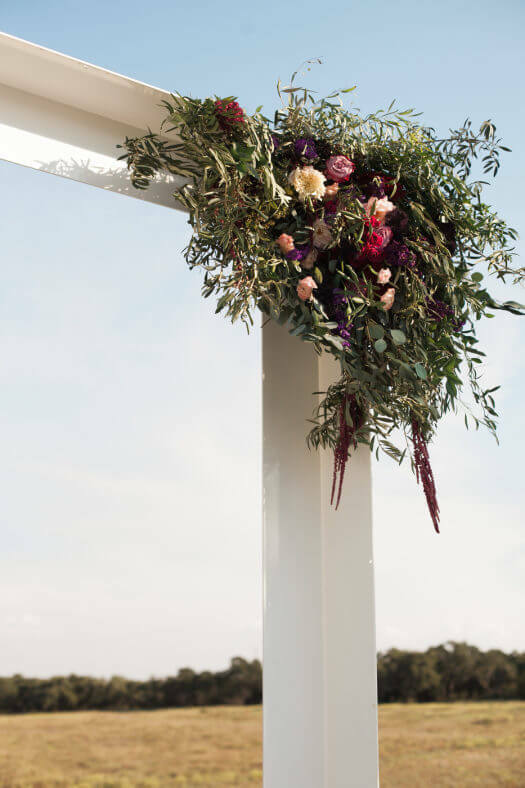 If your ceremony location happens to come with a stunning view, why not create a simple wooden altar to show off the natural beauty of your surroundings? 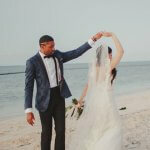 We just love how this couple, featured on PureWow, added a few boho touches for emphasis. 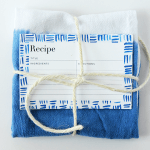 It’s the perfect complement to the changing season. There’s just something about fall sunsets (especially in the desert). 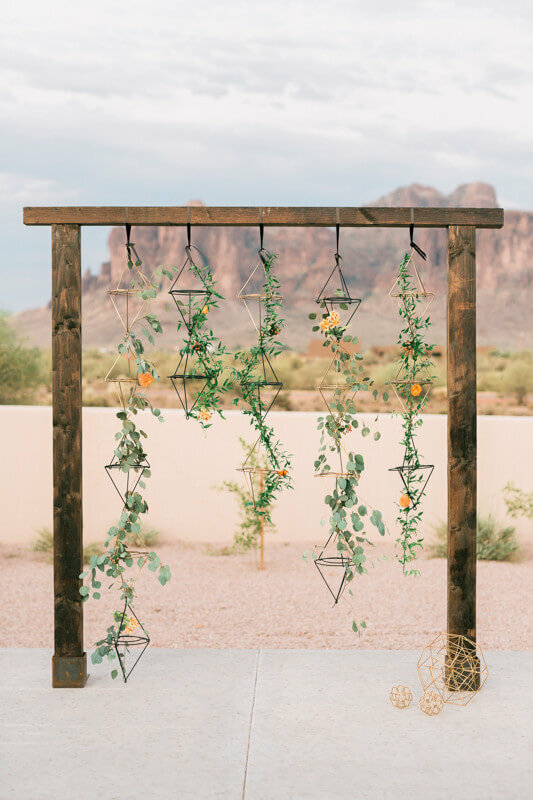 Inspired by Arizona’s scenery, this wedding featured on 100 Layer Cake came to life through a medley of yellow and orange flowers. 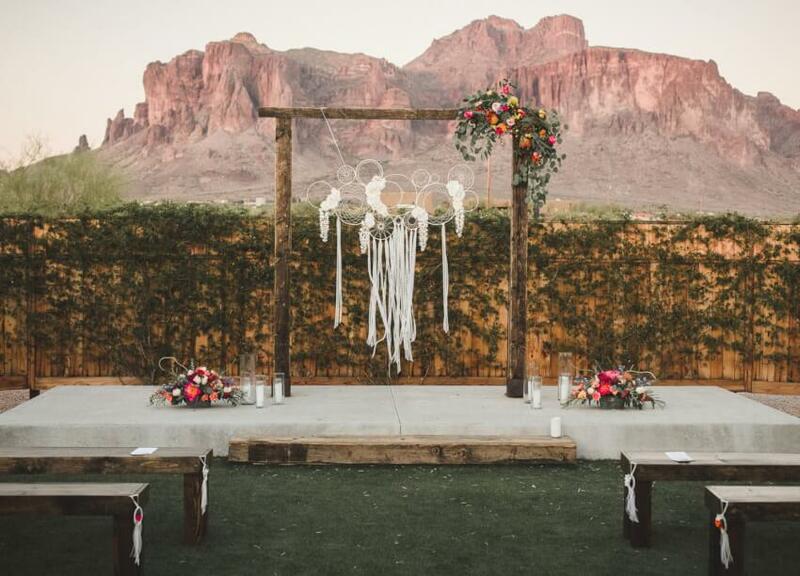 We love how lush greenery tied the flowers together harmoniously with the surrounding desert landscape. 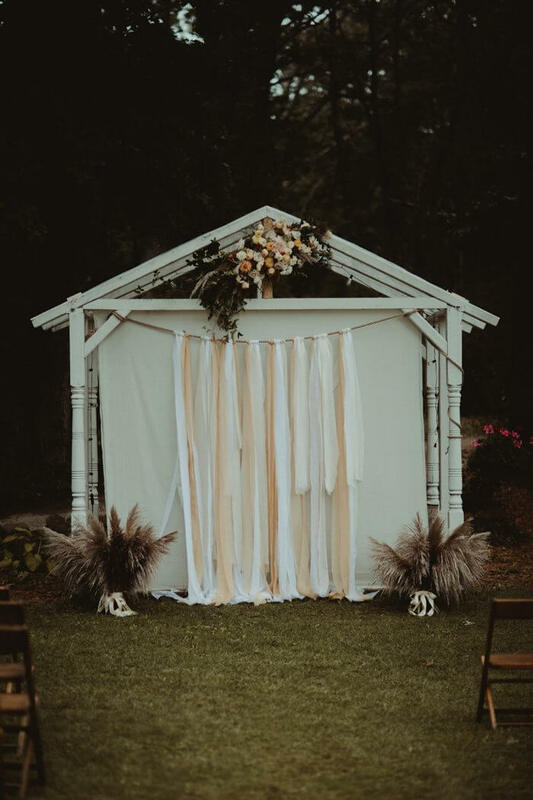 Free-flowing pieces of neutral fabric and a cluster of affixed flowers turned this simple wooden structure into a ceremony backdrop to remember. 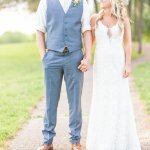 This couple’s ethereal wedding, featured on Junebug Weddings, beautifully came to life through added touches of boho detailing and just the right amount of autumnal charm. 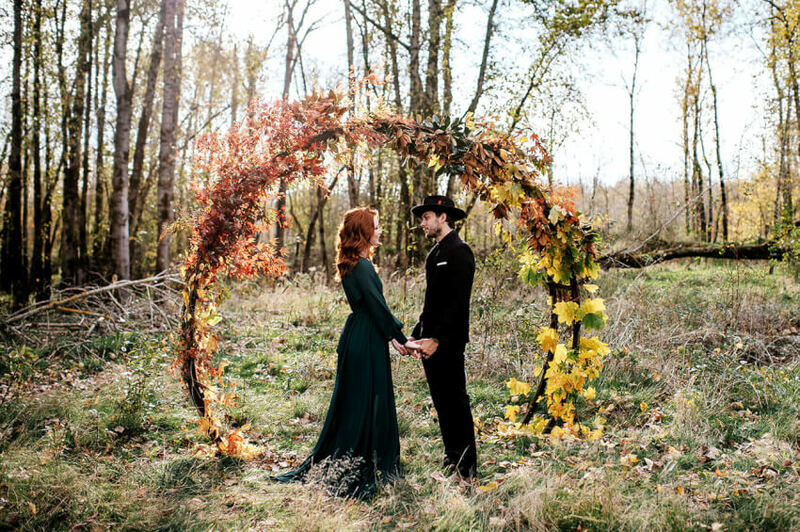 Fall-inspired clusters of burgundy roses and peonies lent a splash of color to this modern arch, featured on Style Me Pretty. 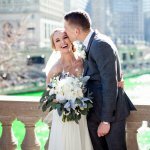 It quite literally framed the newlyweds (and the venue’s stunning fall scenery) as their vows were made. 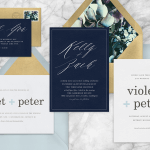 Greenvelope is a design-focused and eco-friendly digital stationery company focused on contemporary correspondence. 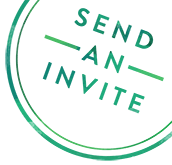 Our paperless invitations are elegant for your wedding, playful for your birthday and formal for your annual board retreat. 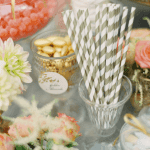 We are dedicated to making your event memorable from the Save the Date to the Thank You Note, reducing paper waste, and donating to environmental efforts. 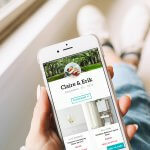 Greenvelope.com maintains the Stationers blog to showcase new designs, explore event trends, and share the delights of all things celebration and stationery.